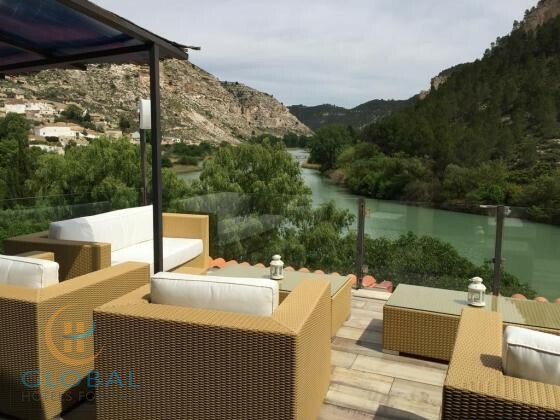 This 3* hotel is located in a quiet area of the Costa Blanca surrounded by houses on large plots, with the features and urban standards of its nearby municipalities. Close to the hotel can be found, the beaches, the beautiful calas, various golf courses, lovely restaurants as well as shopping possibilities. The hotel can be found along an extension of 14.630 m2 of land and it offers around 2800 m2 building. The hotel is composed of 27 rooms, of which 3 suites, 9 doubles, and 15 semi-suites. The hotel can be further extended, a project for 48 bungalows is available. The property offers a professional kitchen fully equipped, 3 dining rooms with a capacity of 150 diners, a cafetaria, convention rooms for meetings, spacious terraces as well as a pool, recreational areas and gardens, solarium, sauna, jacuzzi, parking for guests and a monitoring service by closed-circuit TV. This hotel is ready to take over by a new entrepreneur and can be re-opened soon.